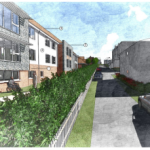 Ninety-three homes have been approved on the site of a former prep school in Rottingdean despite hundreds of objections from neighbours. Opponents of the scheme packed the public gallery at Hove Town Hall as the future of their village was decided by Brighton and Hove City Council planners. More than 400 people wrote to the council to object to the proposal to create 93 homes on the site of St Aubyns School. But the council’s Planning Committee granted permission for the scheme to go ahead earlier this afternoon (Wednesday 10 October). Most of the scheme’s critics focused on concerns about pollution, air quality and a growing number of cars driving through the village. One resident, Sean Flanagan, spoke on behalf of his neighbours about Rottingdean High Street as an air quality management area (AQMA). 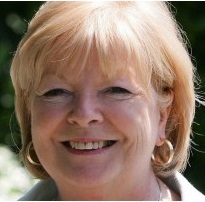 Former council leader Mary Mears, one of the three Conservative councillors for Rottingdean Coastal ward, said that, under article two of the Human Rights Act, the committee had to take into account people’s life expectancy when considering air quality. 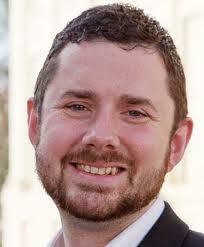 Councillor Mears said: “There are high levels of pollution and our pavements are small and narrow. 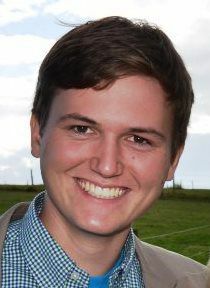 East Brighton Labour councillor Warren Morgan, another former leader of the council, said: “There is huge concern about the traffic in Rottingdean but I do not such how this makes it much worse than when the school was open. 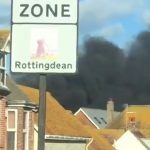 Nitrogen dioxide levels were described as “way above legal levels” by Rottingdean Parish Council member John Bryant. However, the parish council supported the scheme, which includes 37 “affordable” homes. Councillor Mears and Councillor Bryant asked for a commitment that the affordable homes would go to local people. Green councillor Phélim Mac Cafferty, who used to chair the Planning Committee, asked how the developer, Fairfax Acquisitions, would deal with concerns about air quality and whether a car-free development had been considered. Fairfax’s air quality consultant Paul Beckett said that air quality policy requirements had been met. While the scheme will not be car-free, Fairfax’s highways expert Phil Hamshaw said that people moving into the new homes would be offered membership of a car club. In addition, half the parking spaces would have electric charging points. Another Green councillor Leo Littman asked why there were not provisions for green roofs or planting to mitigate pollution. He was told that the High Street was too small for the density of shrubs and that there was little point in green roofs away from the area. He asked about the level of extra traffic that the scheme would generate. He was told that Brighton and Hove City Council and Rottingdean Parish Council used different methods to work out traffic levels but the models were sound. The traffic modelling suggested that there would be only marginal increases in the length of queues and traffic delays. Planning officer Chris Swain said that the air quality officer had described the impact of the scheme as acceptable, with the amount of extra traffic likely to be “relatively small”. Councillor Miller also asked about the financial contributions to be paid to the council by the developer. They total more than £920,000. He wanted money for sport alloacted only to sites in Rottingdean, including the recreation ground and Longhill Sports Centre. 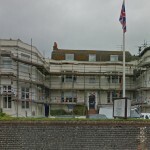 Fellow Rottingdean Coastal ward councillor Lynda Hyde, a former Conservative chair of the Planning Committee, called for developer money to be used to support St Margaret’s School. She said that larger classrooms were needed, describing St Margaret’s as the “community primary school”. Councillor Hyde said: “This has been the most difficult application I have ever had to deal with in my ward. 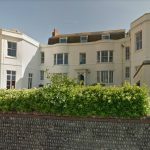 She said that many people in the village had received leaflets saying that the scheme would bring affordable homes for local people but that those homes would be allocated to people from across Brighton and Hove. Councillor Hyde also called for developer money to be given the charity PARC which provides play facilities for children and young people in the village. One of the existing buildings on the site, Field House, is to be converted into seven homes and the cottages on the site would be turned into four homes. Fifty-two of the homes would be built on the old playing field, covering almost half of it. A new street would be created, off Steyning Road, where there would be homes, the old school chapel and pavilion. The parish council is in talks with Fairfax to take over management of the chapel and pavilion as well as a war memorial and fountain on the site. The listed flint wall by the Twitten will remain. Even though part of the field would be turned over to housing, Mr Swain said that it was currently in private hands and that the 57 per cent of it that remained would be turned over to public use “in perpetuity”. When showing a view from Beacon Hill, he said that while the new development “eroded” the heritage of the village, the harm was outweighed by the benefit of enhancements to the former school site and improvements to the listed buildings. A user is being sought for the old school chapel and the sports pavilion. Both are to be restored and maintained. Fairfax has agreed that about 40 per cent of the new homes would be classed as “affordable” housing. Just over half would be for rent, with the rest offered for shared ownership. 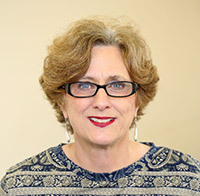 Labour councillor Julie Cattell, who chairs the committee, said: “The school really is in a terrible state. It is a wonderful historic building and it would be a shame just to let it go. Councillors voted nine to one to grant planning permission for the scheme, with only Councillor Mac Cafferty opposed. Good news to see more homes and another defeat for NIMBYism. Lets not forget there are two schools in the village, Our Lady of Lourdes is also part of the community! Good that there will be more affordable homes in beautiful downtown Rotters…but…both Steyning Road and the High Street desperately need schemes to keep the traffic moving. Both are regularly at a standstill, with very high levels of pollution the result. I would make the High Street one-way going north, and make Steyning Road one-way east then south onto the coast road via Newlands. And how will the many motorists from Saltdean and beyond who use the rat runs east of Steyning reach the B2123 to travel to Woodingdean, Falmer and the A27? Via the A259 turning right at the Rottingdean lights?